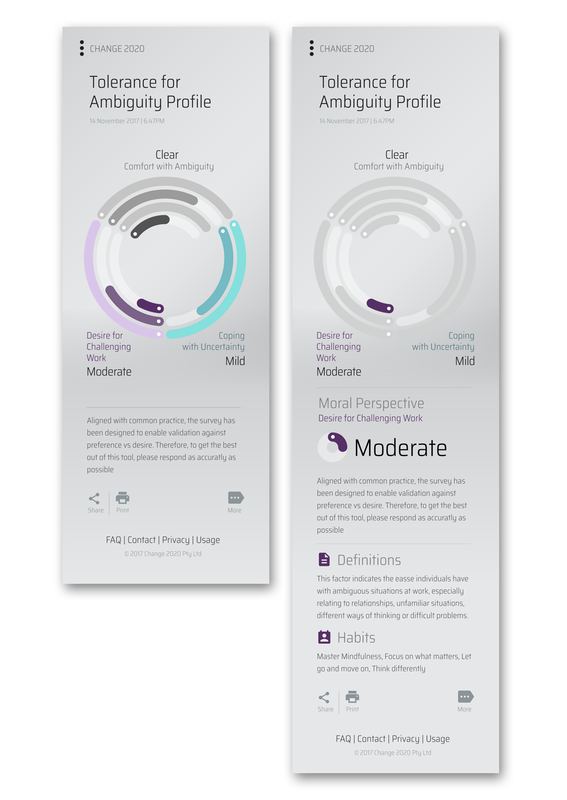 I was contracted as the Senior UX/UI designer to create a unique new digital product “Tolerance for Ambiguity”, an online assessment tool for businesses and organisations to assess their staff and their attitude towards ambiguity in the workplace. The product wraps up research and advisory services into a single “easy to use” online tool designed to handle deployment, distribution and reporting of the product from a single system. To take a face to face assessment process and design a digital version that includes assessment, reporting and management components. A series of workshops and meetings with the company directors and consulting staff drew out the base user model and defined key learnings around the functionality required. There were three core user types identified – Individuals, Managers and Facilitators. 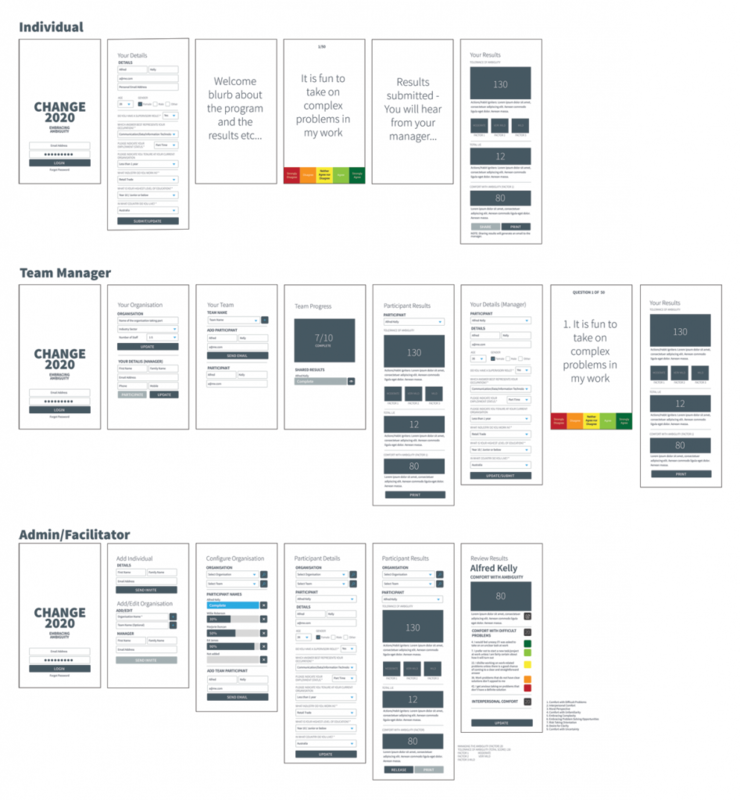 Each user type was then mapped out across their expected journey. 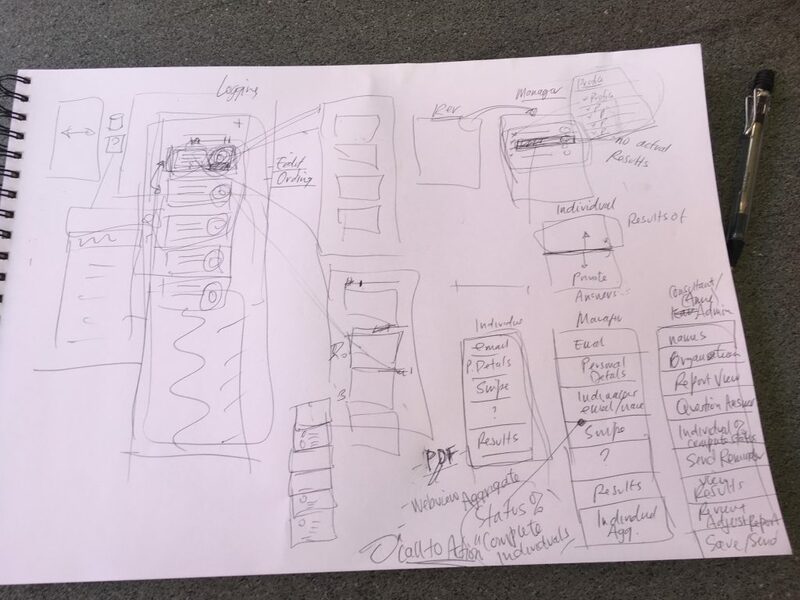 I designed the user flow and the applications information architecture via the process of creating the wireframes. The wireframes were then used to bring the project to life. The individual assessment is a base requirement for all participants to complete.